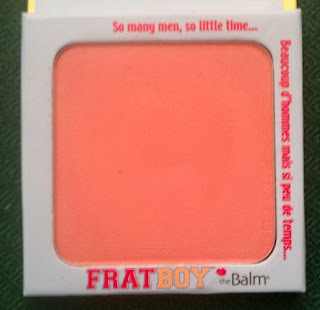 Over the past few months, I've bought 3 of the Balm's blushes: Cabana Boy, Frat Boy, and Hot Mama. These blushes are fairly expensive - $21 each. 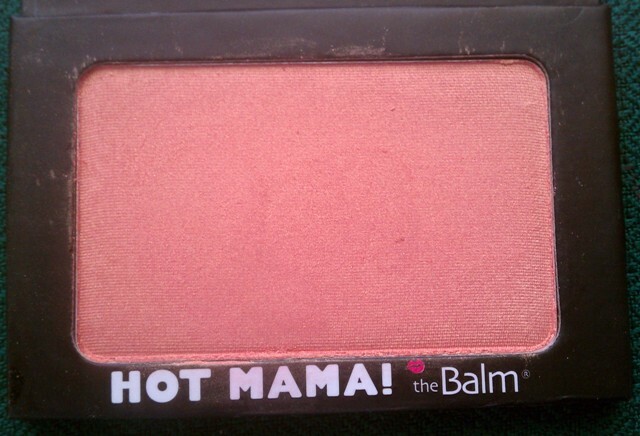 But Hot Mama's the only one I paid full price for. I got the Boys (hee!) from Haute Look for $10 each. And I've got to say, I think these little beauties are actually worth the $21. Not only is the packaging adorable - I'm a sucker for retro style artwork! 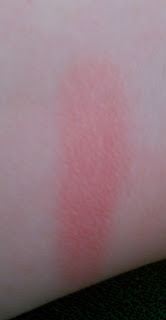 - these blushes are richly pigmented, smooth, and super easy to blend. And they can all double as eye shadows, which I think is pretty cool and allows you to get a little more bang for your buck. While all of the blushes are lovely, my absolute fave is Frat Boy. It's a lovely deep peach color with a matte finish that looks so pretty and natural on the cheeks. I think it'll be particularly pretty in the spring and fall. I haven't tried it on my eyes yet, but since peachy, orange tones bring out blue eyes, I'll definitely be giving it a go at some point. Cabana Boy is a gorgeous deep berry shade with subtle gold shimmer throughout. 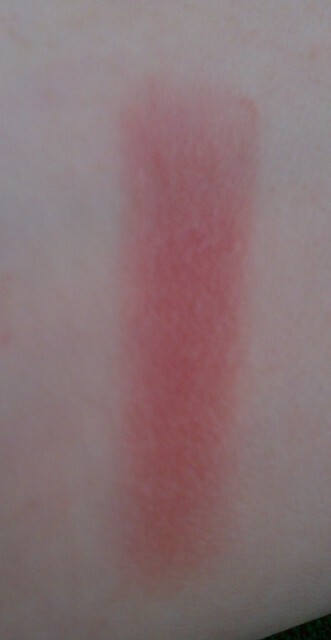 It's the blush I reach for when I want a more grown up, sophisticated look, if you know what I mean. 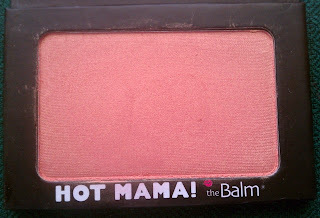 Hot Mama is a shimmery peachy-pink shade that makes your cheeks just glow. It's a bit lighter than Frat Boy, and because of the shimmer, it's like a blush and highlighter in one. I think this one will look nice on the eyes too, but I haven't experimented yet. I definitely recommend these blushes - but if you're like me and the $21 price tag is a little off-putting, keep an eye out for the Balm events on Haute Look so you can score a good deal. You can't go wrong with any of them, though if you can only get one, I'd go with Frat Boy. 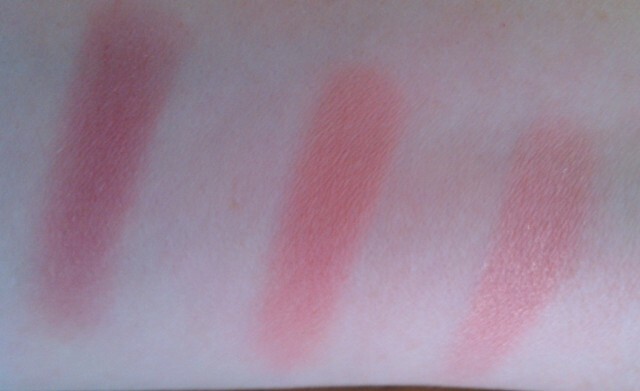 Now, I love these three blushes so much that at some point, I know I'm going to get the one blush in the Balm's collection that I don't have - Down Boy. 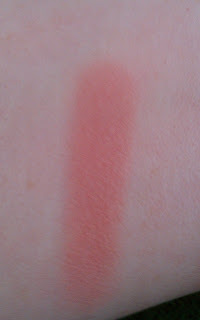 It's a light rosy pink that looks like it would be perfect for a natural look. So pretty! 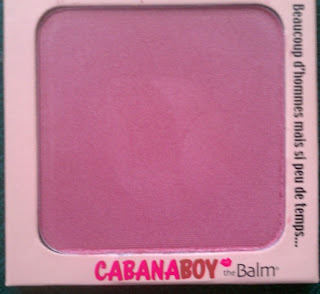 Have you tried the Balm's blushes? Which one do you like best? Which one are you most interested in trying?